Hailing an Uber is already incredibly convenient, but today Facebook Messenger is taking it one step further. The chat service is testing a new feature called Transportation on Messenger, letting users request, receive updates and pay for a ride without needing to download a ride sharing app or leave a conversation. Uber is its first partner. If someone sends you an address in a chat, you can tap on the address and request an Uber from within Messenger. Or, you can click on the little car icon or select Transportation from the "more menu" button, and before you know it, your Uber is on its way. Uber will send you ride updates within Messenger, and a note pops up in chats so your friends know a ride is on its way. You can also pay without having to leave your conversation, and Uber will send you a receipt in a private chat. 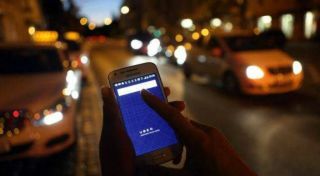 The feature is rolling out to a select number of users in the US, and only in places where Uber operates. Facebook promised more regions and additional ride-sharing services will come to Transportation soon. If you're in on the test, you'll need the latest version of Messenger to access Transportation. If you're a seasoned Uberite, you can sync up your account with Messenger starting today. Anyone who uses the feature for the first time gets a $20 ride credit, though the offer is only available for a limited time. New Uber users can sign up for the service from within Messenger, too. Facebook has attempted to get/force people onto Messenger for quite some time, and this seems like another attempt, albeit a savvy one, to hook users into the chat ecosystem. We can't imagine it catching fire with people who don't use Messenger on the regular, but loyal followers may find it a nifty new add-on.